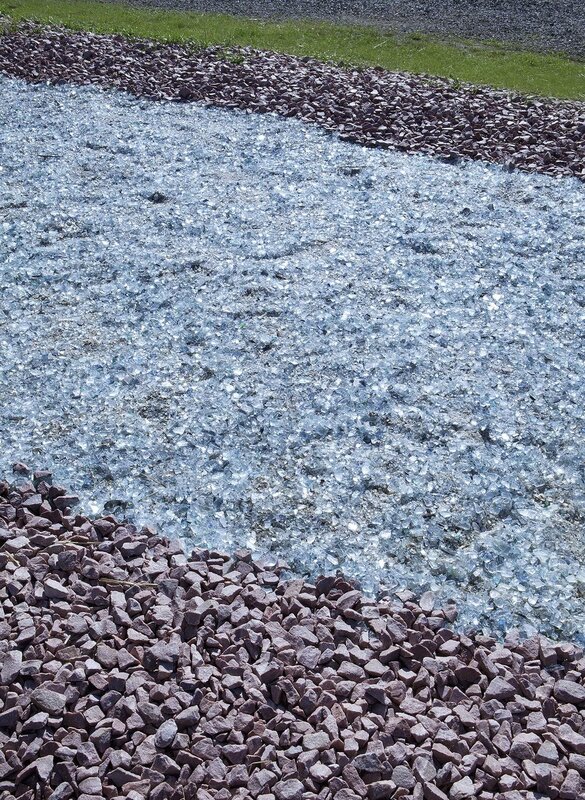 Two yards of pink quartz stone, 1 1/2 yards of forte dodge white stone, one yard cocoa stone; 12 tons of crushed, recycled glass. 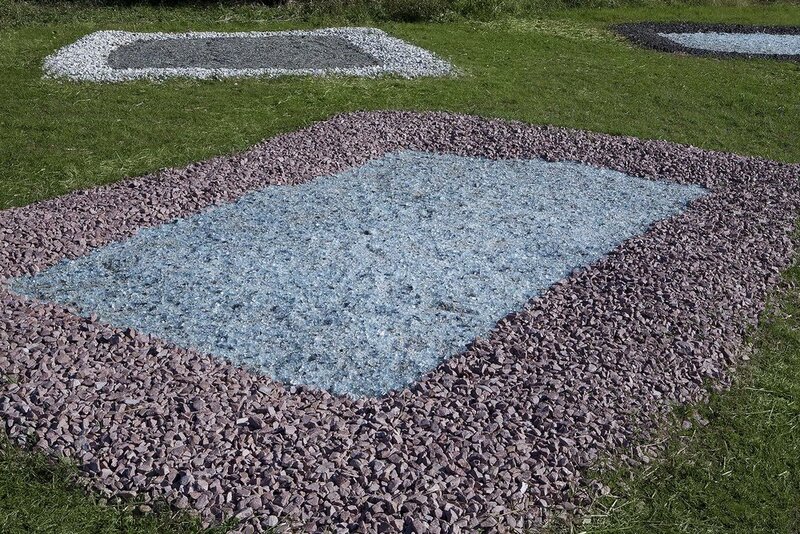 Shag Pools is a subtle piece that is integrated into the landscape and is meant to be discovered unexpectedly. 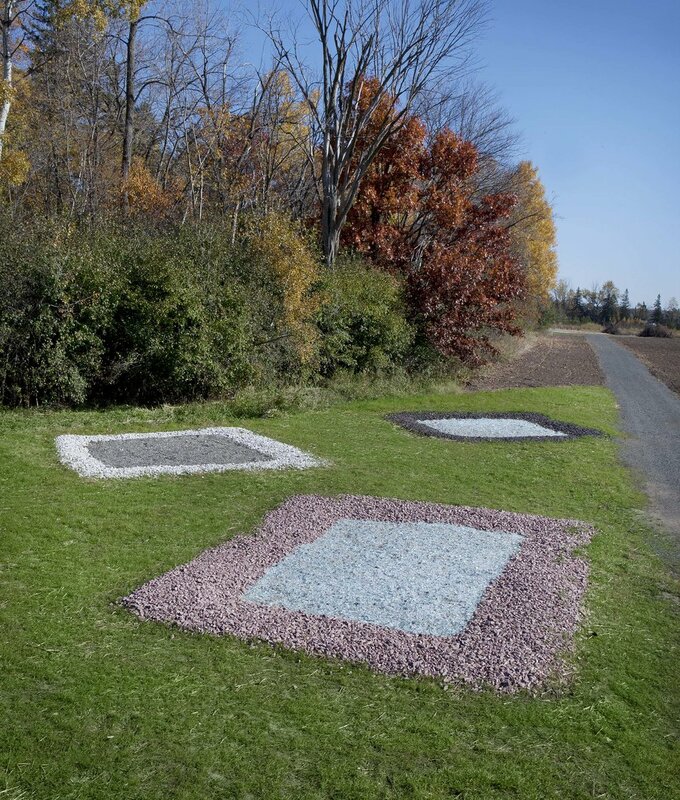 With elements of design and nostalgia, the intention is to bring the feeling of the interior into the open field, combining a suburban upbringing from the 1970’s with the natural, outdoor surroundings at Franconia Sculpture Park. 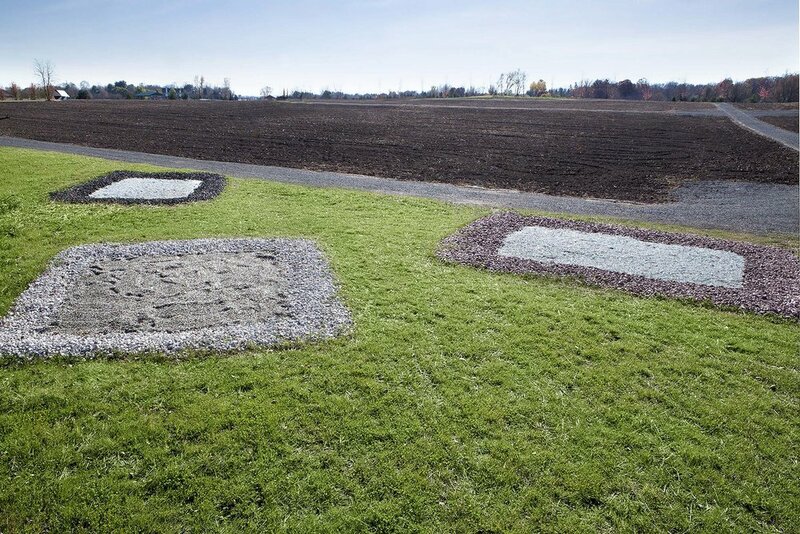 This piece is elegant, reflective, and beautiful while also conveying humor with its nod towards suburbia.